Out of the 10 IP's brought against them, 1 was infringed. The 1 infringement is unlikely to cause any disruption in available of the phones concerned. The ruling only affects Holland. 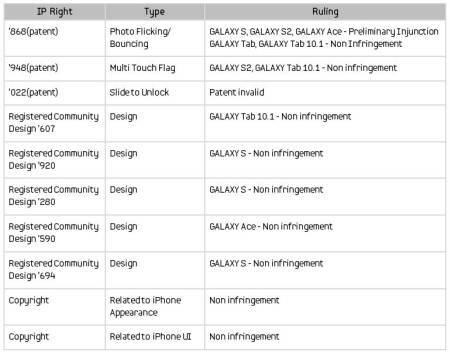 It seems like Samsung have this one covered, and the single infringement looks like it can be overcome through a software patch, if Samsung don'tÂ succeedÂ with the legal approach.